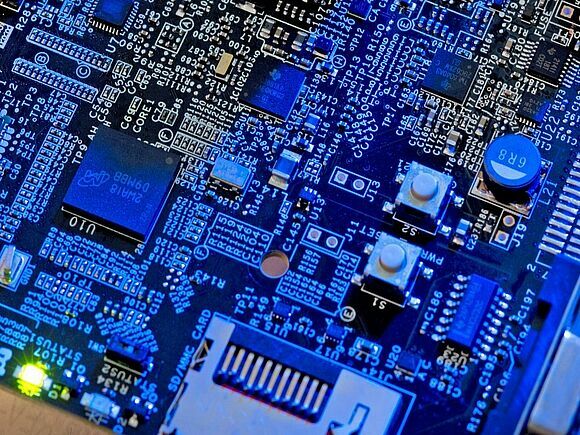 In the development of technical systems, there is a strong trend towards the networking and integration of as many system components as possible in a single chip. The systems thus become faster, more reliable, more secure and more mobile. To meet these demands, freely configurable integrated switches, so-called FPGAs, are increasingly being used. These allow computer science software solutions to be combined with high quality parallel processing in hardware. In the System on a Chip Lab, students learn about a modern, workplace-relevant field of technical computer science. They gain important skills in the planning and implementation of modern systems, such as the Internet of Things, Smart Home and Mobile Computing.